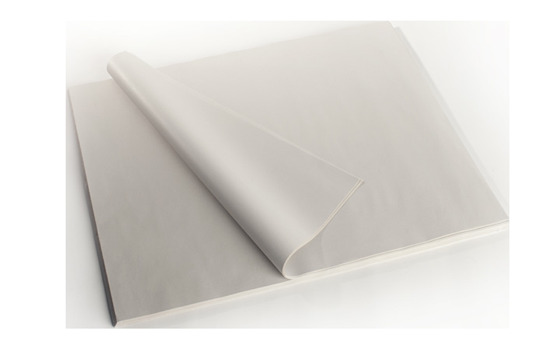 PROTECTIVE PAPER FOR SUBLIMATION - PROTECT YOUR PRESS FROM GASSING INK. Why Do I Need to Use Protective Paper? When working with dye sublimation, the transfer papers used serve only to carry the dye ink to the polyester surface. When heated to 200°c, the ink becomes a gas and bonds with the polyester or the polymers of a coated substrate. But that’s not all that happens: if the transfer paper is over-saturated with ink, it may migrate through the paper and contaminate the Teflon sheet on the heat plate. Also, if you have a product bleed on the transfer paper, the sublimation ink will gas onto the rubber base plate. The migrated ink will then transfer onto the next product you press. The use of protection paper will keep the Teflon sheet and base plate in good condition.